Follow the rules and regulations of the area you're visiting. Download or print out a map or guide and keep it with you. Dress appropriately for the activity or area. Most of our recreational areas are carry-in, carry-out. Take your trash with you. 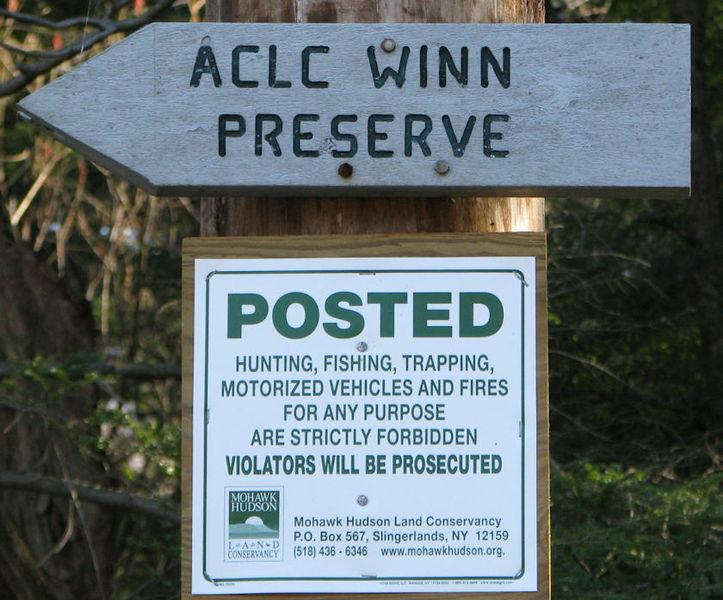 Unless you're hunting, trapping, or fishing, it's generally not permitted to disturb or take any wildlife or other artifacts, including plants, animals, fossils, gravestones, stone walls, fences, or signage. Stay on designated trails, especially in limestone areas which have sinkholes and crevices in the stone. You could easily break a bone if you fall into one of these. If an area is posted as "Closed," respect that sign. The trail may be dangerous, wildlife may be protected, or bats may be hibernating. Many of our recreational areas abut private property. Be sure to respect private property. Make sure your watercraft or firewood is not carrying an invasive plant or animal species. You must have proper licenses and permits for hunting, fishing, trapping, and use of motorized vehicles or watercraft. Visit NYS Office of Parks, Recreation and Historical Preservation for a comprehensive list of Trail Tips.